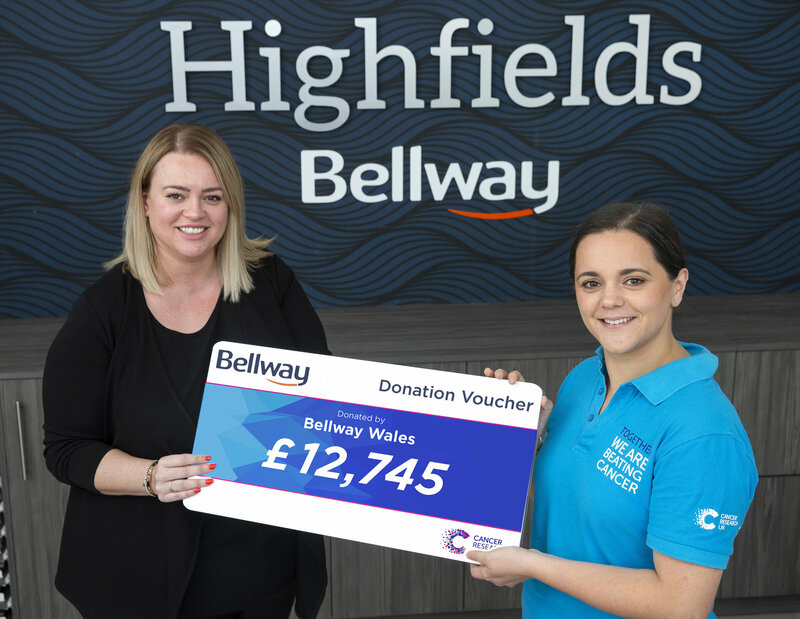 Staff working for Bellway Wales – which has its divisional head office in Cardiff – have raised and donated an amazing £12,745 for Cancer Research UK over the past two years. Fundraising events were organised by employees from the Cardiff office in St Mellons and the division’s developments across South Wales and Gloucestershire, with the totals raised by staff boosted by double match funding from Bellway’s head office in Newcastle upon Tyne. Further events are now already being planned for a third year of the partnership with Cancer Research UK. Carly Maidment, Sales Manager for Bellway Wales, said: “I am so proud of all of our staff here for their fundraising efforts for this incredibly worthwhile cause. “Cancer Research UK is a charity which is close to the hearts of many employees and they have worked so hard to achieve this fantastic fundraising total. I’d like to thank everyone who has played their part. Cancer Research UK is the world’s leading charity dedicated to beating cancer through research and is entirely funded by the public. The fundraising efforts of Bellway’s Cardiff-based employees are part of £780,000 raised by the company nationally for Cancer Research UK since August 2016. In recognition of its ongoing partnership with the charity, Bellway recently won the Charity Partnership Award (Property & Construction) at the Business Charity Awards in London. Bellway’s Wales division is building new homes across South Wales and Gloucestershire. For more information, see bellway.co.uk.